Very nice rug!! Looks nice in my family room! Made of polypropylene yarn, you can enhance your interior decor with this stunning rug from Home Dynamix. This Tribeca Collection rug features a check pattern that will blend with any home's style, and the white, red and brown coloring allows it to accent any color scheme. Add to your home with this beautiful rug made in Turkey. The rug is quite small...the picture does not necessarily depict that. Also, the colors are not at all vibrant , as shown in the picture. I am not at all pleased, although I will keep it to avoid the hassle of returning it.I would not recommend this product at all!! Colors are totally incorrect and the rug is pretty small. 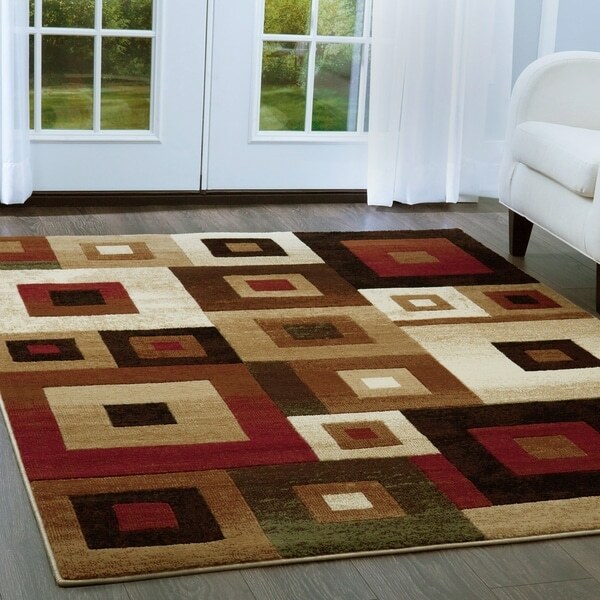 Westfield Home Montclaire Circle Block Red Accent Rug - 1'11" x 3'3"
Westfield Home Montclaire Gabriela Burgundy Accent Rug - 1'11" x 3'3"